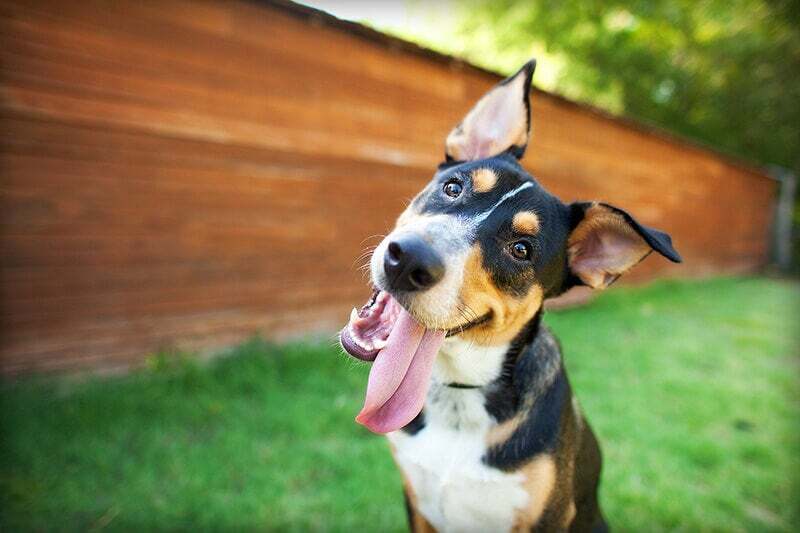 How Can you Make Pet Insurance More Affordable? What Will Impact Your Pet’s Premium? If you own a pet, you know how important pet insurance can be. From time to time, cats, dogs, and other pets can get into all sorts of trouble, or contract illnesses that require extended care. Therefore, it’s important to have insurance to buffer the financial burden that ensues from life-saving veterinary care. The world of pet insurance is full of companies that offer a range of coverage plans, premiums, and deductibles. Thus, you will want to do your research before committing to a coverage plan. As a consumer and a loving pet owner, you want to look for affordable or even cheap pet insurance that also brings a lot of value to you and your pet. In general, pet insurers have three levels of care: comprehensive, accident/critical care, and wellness/preventative coverage. While it’s recommended that you have your pet covered for all potential outcomes, you will at least want to cover your pet for tests, vaccinations, and a few dental cleanings. Even basic pet insurance coverage can save you hundreds or even thousands of dollars. Then, you have a healthier, happier pet as a result. Pets Best is a great value for the dollar. In fact, they offer coverage at less than a dollar a day. If you have an active dog that is likely to get into trouble, you will want to consider getting a quote for their affordable pet insurance. They will base your premiums on where you live, your dog’s age, breed, and your deductible/reimbursement level. Get a quote from Pets Best today! Healthy Paws pet insurance company is consistently at the top of most any consumer ranking. In one case, ingesting a foreign object, Healthy Paws claims to reimburse pet owners up to 84 percent of their out-of-pocket expenditure. Considering that some cats are known to have a penchant for eating yarn or other foreign objects, this is surely welcome news to some pet owners. When you are looking at which pet insurance plans are the most affordable, don’t just look at the monthly premium. Take a look at the value provided by the plan, the limits and your true expected out of pocket expenses should something go wrong. Get a quote from Healthy Paws today! PetPremium offers coverage at low, low rates. You can choose between two general tiers of coverage: Accidents-only and Total Coverage. With either plan, you can choose three sub-tiers of 70, 80, or 90 percent coverage. With the total coverage plan, your pets will be covered for accidents, illnesses, hereditary conditions, and even behavioral treatment for problematic pets. No matter the level of coverage you choose, you can add preventative care for up to $25/month. At the maximum premium level, your pet will be covered for up to $500 worth of tests, vaccines, dental cleaning, and urinalysis, among other procedures. The ASPCA is well known for its animal advocacy, and that compassion and caring translates well into its insurance plans. If your pet is covered by the ASPCA, you will find that your companion is covered for accidents, illness, advanced care, and preventative care, depending on the level of care you choose. With the Complete Coverage plan, for instance, your dog’s care will be reimbursed for up to $5000 per year. You can increase this amount to $10,000, $15,000, $20,000, or you could choose unlimited care for your special four-legged friend. Your cat will receive comparable care, but note that certain conditions are not covered. Nationwide is also on our pet’s side when it comes to spectacular, affordable, pet insurance. Their Complete Coverage plans start at $64/month and cover a wide range of issues, including prescriptions, chronic illness, wellness/preventative procedures, and vaccinations. If you want a more basic level of coverage, Nationwide’s Medical Coverage plans start at $34/month and cover surgeries, hospitalizations, some hereditary conditions (with stipulations), as well as accidents and illnesses. The most affordable level, Wellness Coverage, starts at $22/month and covers mainly preventative measures. When it comes to pet insurance, there isn’t any “one-size-fits-all” insurance policy. That is why the majority of providers allow you to customize a plan to make it match your budget and needs. What factors will come into play with customization? It’s what you’re responsible for paying prior to pet insurance reimbursing you. Increasing the deductible brings down the cost of the policy. Choose a deductible which matches your budget by asking yourself what you’re comfortable paying before you’d have to be repaid. Tip: See if the insurance policy has an annual deductible or per-incident deductible. Some providers make you pay the deductible for every incident. This means that if in one year your kitty gets an ear infection then later on requires an operation to extract a toy he ingested, you will need to pay the deductible two times. It’s the most the pet policy will reimburse you within a policy year. Reducing the annual maximum decreases the policy’s cost. It is vital that you keep your furry pal in mind as you determine this. If you choose a $10,000 annual maximum for your domestic shorthair kitten, you may be overpaying for the insurance plan. However, you might want to think about a $15,000 if you own a large purebred pooch who might be susceptible to hereditary conditions. Tip: Watch out for “per-incident maximums.” A few providers have limitations per illness or injury. For instance, they might say that they only will reimburse as much as $5,000 for cancer within your pet’s lifetime; however, cancer treatments over a period of years easily can reach $10,000. It’s the percent of the bill which is reimbursed after the deductible is met. Lower reimbursement percentages reduce your premium. Some providers only provide one reimbursement percentage choice, not permitting you to modify your premium based upon this feature. A few pet insurance providers have riders for things such as genetic and hereditary conditions, or even cancer. That means you must specifically ask for those things to be covered, otherwise they aren’t included. Adding those things will increase the annual or monthly price. All of us are fairly clear on what might impact your health insurance premiums or auto insurance premiums. However, as it comes to your dog or cat’s premium, many factors are considered to figure out the cost. What you’ll pay for your Labrador likely will be the same as what a neighbor pays for his Pomeranian, or even what your mother-in-law pays for her Lab in some other state. Some factors are things you’re able to control. Some are not. Oftentimes, canines are more expensive than felines to insure. There are a couple of reasons why: 1.) Dogs generally are larger than cats, and require more expense to medicate, sedate, care for, and hospitalize. 2.) Canines generally are more prone to accidents than felines. When was the last time your kitty swallowed a corn cob, which cost $1,400 in veterinarian bills? The “larger the breed the more expensive” logic also applies here. A 130-pound Newfoundland is more expensive to sedate, care for, and medicate than a 4-pound Yorkie. However, there is an additional component of size affecting price: predisposition to genetic issues. Shepherds and Rottweilers are a lot more likely than Cocker Spaniels and Shi-Tzus to require an expensive operation for things such as hip dysplasia and cruciate injuries. However, it isn’t only about size. Even the smaller breeds have their fair share of genetic problems. As it’ll come down to it, increased genetic illness risk or predisposition to specific injuries may place any pooch at greater risk. That is why we have levels of risk for the most common breeds and most common mixed breeds. Therefore, it is possible that a Pit Bull mix is somewhat “riskier” because of his predisposition to knee problems and cancers than a relatively healthy, small pure breed. It also is possible that a Heinz 57 mutt will be less pricey than the majority of pure breeds. One factor for pricing for gender did not come about until just a couple of years ago, yet research shows that males are somewhat more likely to be seen by a veterinarian than their female counterpart. And why? Could it be hormonal? Their personality types? Difference in size? Odds are it is a combination of all those things. On that note, we’ve noticed reductions in risk for neutered or spayed pets. While we are completely aware that many responsible pet owners choose not to alter their furry pals, it is a fact that spayed females cannot get uterine infections, just as neutered males cannot get testicular cancer. As there might be some behavioral elements to the risk related to in-tact pets, all of us can agree that having an animal “fixed” will mean one less thing to insure. It is a hard pill to swallow for those who live in the city, yet it’ll come as no surprise that the price of vet care is greater in major metropolitan regions than in rural or suburban areas. Not just are you more likely to locate more advanced care within the major cities, in the form of medical centers and alternative care clinics, the veterinarians earn a bit more to account for the price of living differential. Here’s some positive news: your animal’s coverage will not decrease as she or he ages. Your 12-year-old Shepherd will still have the same payouts and coverage he did when he was a 5-year-old or puppy. Here’s the bad news: your rates will increase. Sometimes an older dog who was healthy almost all of his 12 years, could have quite a few medical bills in his last couple of years. With that increased price came increased risk that the majority of senior pet owners are usually familiar with. The premium likely will reflect this risk.